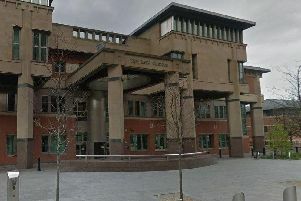 Foster parents in Rotherham have been leaving the role as a result of stress caused through unfounded allegations made by children in their care, it has emerged, at a time when the council has had responsibility for increasing numbers of ‘looked after’ youngsters. Rising numbers of ‘looked after’ children, which the local authority must provide care for, have risen sharply as a result of Rotherham’s historic problems of council mismanagement and the child sexual exploitation scandal which provoked Operation Stovewood, an ongoing police investigation into old cases. But as new foster carers have been recruited to meet that demand, they have been almost matched by those leaving the service – with some of those reporting the stress of being investigated as the reason for giving up the work. Now a senior council official has become involved in every investigation to make sure it is concluded as swiftly as possible and the authority is also taking steps to support the foster carers involved more effectively, with the intention of guiding those found to have done no wrong back into the fostering role. Ian Walker, head of Rotherham Council’s children and young people’s service, told the council’s Improving Lives select commission he was now personally involved in each ‘LADO’ investigation. They are conducted by a Local Authority Designated Officer, who investigates allegations, and that role had historically been conducted by one officer but more recently had gone onto a rolling programme of staff. “I don’t think foster carers were well served by that,” he said. “I have co-opted myself onto the investigations. One issue expressed by carers was that the process was dragging on for several months and the longer it went on, the more stressful it became. “I can ensure it is concluded as quickly as possible. The meeting was told of a rise of 21 per cent in the number of looked after children under the council’s care, which is higher than the “statistical neighbours” used to measure all councils’ performance. But deputy leader Gordon Watson told the meeting Rotherham’s history meant in reality it had no statistical neighbours – with 45 of those entering care doing so as a result of complex abuse investigations and 44 from Operation Stovewood, leaving 17 resulting from other issues. With those cases stripped out, the number was 17 or a four per cent increase which was below the national average. “I know that doesn’t mean the spend (on caring for children) goes down. It puts it into context of where we are. It isn’t that numbers have gone up out of all proportion and there is no explanation for it,” he said. The council has introduced a range of measures which are intended to reduce costs, with one change alone expect to result in the authority spending £2.4m less on its arrangements for children in care. New tactics also include intervening when children are as young as possible because evidence shows the younger the child, the shorter time they are likely to stay away from their birth family while problems are resolved. In terms of numbers of children entering the service, Mr Walker said he believed “We are probably at high tide”, with numbers of young people being discharged from local authority care also increasing. The overall support offered to council foster carers had also seen some providers transferring from the private sector, where the rates of pay for the work are higher. Local authorities are forced to buy-in private fostering services when demand outstrips their own resources, but in Rotherham some carers have been so impressed with the package of assistance offered by the council they have switched into their system. It is anticipated that will become a further source of recruiting, with the council also looking to revise its own work for attracting new candidates to fostering.